Have you ever wanted to enjoy your work as much as you enjoy shopping? 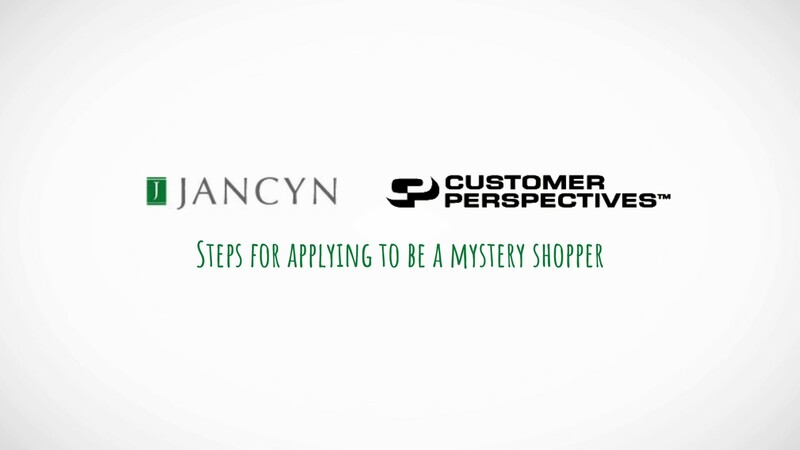 Being a shopper for Jancyn, and our Customer Perspectives division, brings together the best of both worlds. Fun and rewarding, being a mystery shopper serves the important function of gathering the information necessary to keep America’s businesses growing strong. When you become a shopper, you will be joining an elite group that serves as the eyes and ears of the business community. You help us continue to earn our reputation as the industry leader for providing factual and detailed information that, in turn, helps us to secure the most prestigious assignments throughout the country. With the right skills, you become a very important part of our winning team. Mystery shoppers we engage are evaluated for their integrity, writing skills, and attention to detail before becoming independent contractors with us. We welcome you to take pride in working for our clients. Compensation varies from job to job, so examine each assignment carefully to make sure the assignment meets your needs. Please review our FAQs to better familiarize yourself with how Jancyn works with you and pays you for your skills. Check out these tips for mystery shoppers. Watch our brief video belwo to show you how to get started. If you’re ready to begin your journey as a Jancyn mystery shopper, please CLICK HERE and fill out our New Assessor form. Want even more shops? Jancyn also offers available shops at iSECRETSHOP. For detailed instructions, you can WATCH THIS VIDEO.